Summer was found as a stray in Crieff and her chip led us to a family in Perth who told us they had sold her on Gumtree to someone in Stanley before Christmas. 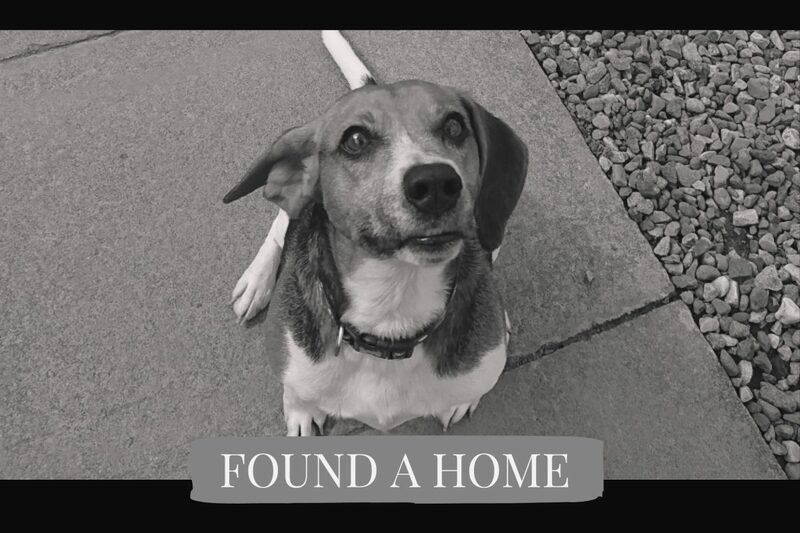 The Perth family, not familiar with Beagles, found her too hard to handle, they had adopted her from Fife just last year so poor Summer has been around the block. Summer may be 10 years old but don’t let that fool you, she’s still got plenty get up and go! Summer is good with other dogs, she’s fine with dog savvy cats and even children of 8+. A scenthound, she will choose a good sniff over you every time. She’ll need to be kept on a lead at all times while in public so a well secured garden would be ideal for her to get some offlead exercise. We’ve been told that she is a counter surfer and a bin raker so her new family will need to keep a watchful eye. Summer does not like being left alone so will not be suited to those in apartments or with noise sensitive neighbours. This entry was posted in Found a Home and tagged Adoptdontshop, Beagle, Rescue Dog.